Time to twerk it with one of the sexiest men alive! 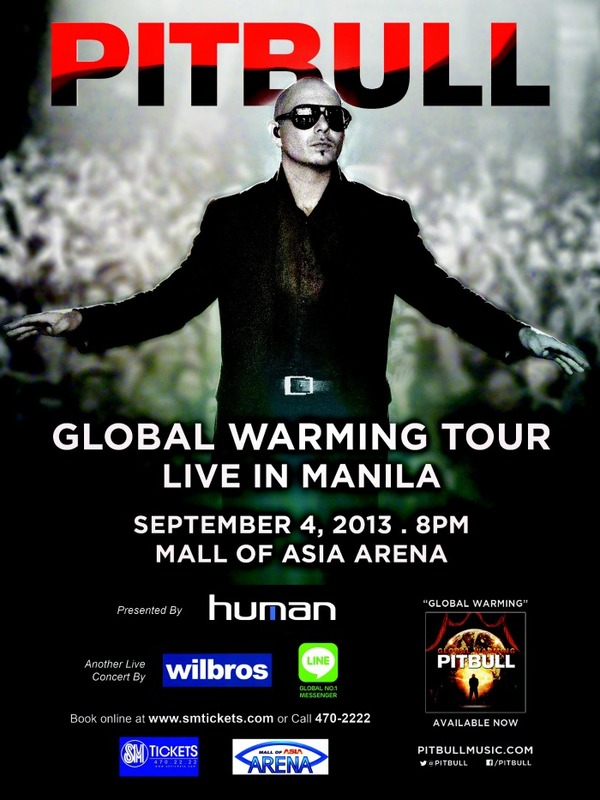 Pitbull is coming to Manila for his Global Warming Tour this September 4, 2013 at the Mall Of Asia Arena, 8pm. Dance to his many hits like "Hotel Room Service", "I Know You Want Me", "Bon Bon" and "Back In Time". Pitbull in Manila is brought to you by Willbros Live.